Leading brokerages are using technology to achieve the ideal balance between personalized service and more aggressive growth. A. Duie Pyle’s brokerage customers range from very large shippers who require full EDI capability to smaller businesses whose information needs still involve envelopes and stamps. The company’s technology platform needed to address each of these extremes while empowering team members to provide an exceptional service experience with every load. 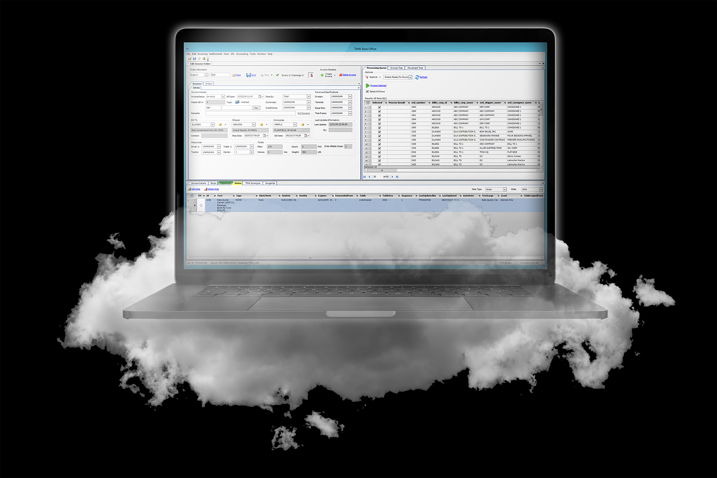 Rather than continue to rely on the company’s homegrown TMS – originally developed to run Pyle’s asset-based operations – Brokerage Solutions moved to a standalone solution, TMW.Suite software, hosted in the cloud. Hummel reports that the increased efficiency enabled by modern technology ultimately benefits all customers. The company has achieved a 40% improvement in customer response time, largely by eliminating the need to access information from multiple sources and the corresponding need to check that data for accuracy. Now, rather than chasing information that might reside in a Word document, Excel file or email, the Brokerage Solutions team has a single, central repository that promotes timeliness and accuracy. Hummel notes the Brokerage Solutions group’s operations reporting is now tied to its monthly P&L statement, which previously wasn’t the case. “You might have thought you had a good month only to have your world turned upside down when the P&L came out,” she explains. Tracking these variances could require a week or more – time that would have been better spent growing the business. Now every member of the team has a greater sense of accountability based on increased confidence in the end-of-month numbers. One of Hummel’s frustrations: the reluctance of some smaller carriers to raise their game by leveraging modern technology. 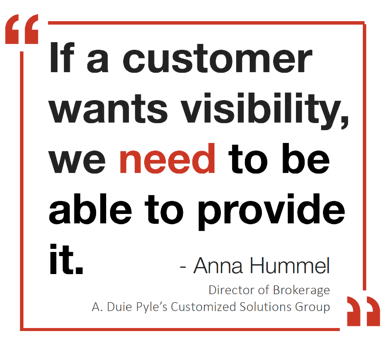 A. Duie Pyle relies on its cloud-based TMS to streamline carrier onboarding and compliance, but the brokerage has made somewhat less progress in convincing smaller carrier partners to collaborate in providing deeper visibility into load status. Like many brokerages, the A. Duie Pyle team encounters some carriers who are willing to provide frequent status updates and others that won’t even share their cell phone number. The latter group often includes highly reliable drivers who simply resent the intrusion of Big Brother. “If we just had the ability to track all drivers by cell phone, that would improve efficiency in my group tenfold,” Hummel says. Regardless of the challenges of extending technology to all prospective users, A. Duie Pyle is reaping the benefits of modern solutions that increase efficiency and promote customer loyalty. And this appealing blend of high-touch and high-tech is helping drive profitable growth. Ready to succeed with technology in your brokerage business? Contact us today for additional information on how TMW can help.